Dulani Samarappuli, of Calgary, who just finished her first year at the American University of the Caribbean School of Medicine, said she was one of five Canadians from the school who managed to board a Sunwing flight to Canada on Tuesday morning before the devastating storm hit. Samarappuli said she and four other students decided at the last minute to go to the airport to see if they could catch a flight to Toronto. The Sunwing flight was booked, but Samarappuli said they were told to wait in case some passengers did not show up. Before take off, she said, they were able to board the plane. The massive storm directly hit the island – which is divided between the French St. Martin and Dutch St. Maarten – early Wednesday, damaging its airport and leaving thousands of tourists and locals unable to escape. The devastation caused by the hurricane was followed by widespread looting and robberies. Dutch navy said the security situation on St. Maarten has since improved thanks to patrols by marines and police flown to the island to help overwhelmed local law enforcement. 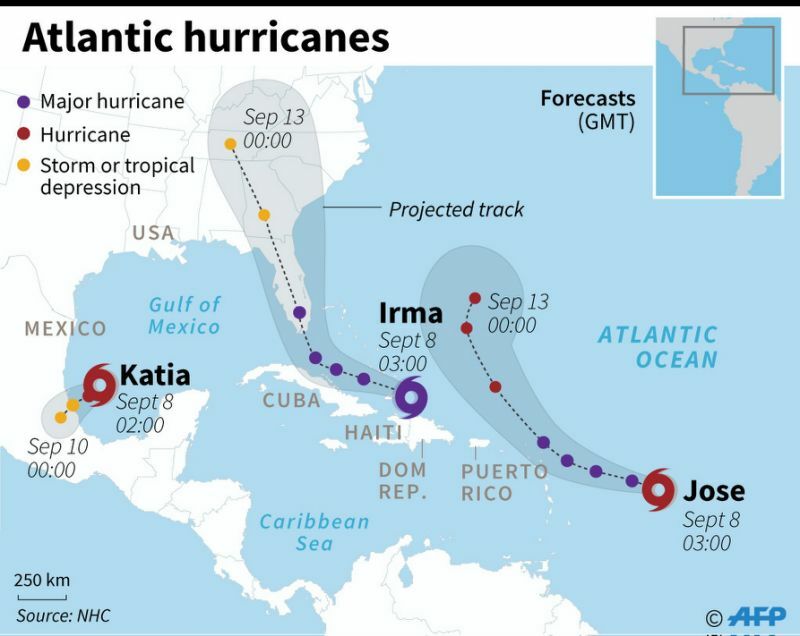 There was also concern that hurricane Jose could hit the island Saturday night, but St. Maarten was spared further damage because the storm passed farther from shore than expected. Now safe at home, Samarappuli said she and about 25 other Canadian students from the school who fled St. Maarten in time have banded together to get all the Canadians hunkering down at the university back home. They started an online petition that had garnered more than 1,500 signatures as of Sunday afternoon to draw attention to the situation in the hopes that Ottawa would do what other foreign governments are doing to rescue their citizens who are worried about their safety and running out of supplies. Samarappuli said some American students have been evacuated from the island by the U.S. military, adding Canada should do the same. Wyncel Chan, of Port Coquitlam, B.C., said her mother and sister were among the many Canadians trying to board another Sunwing flight on Sunday. Chan said her 22-year-old sister, Mariel, is in St. Maarten to start medical school and their mother, Cecilia, went with her to help settle her in. A group of Canadians taking shelter at the American University of the Caribbean School’s auditorium received a text message from Global Affairs alerting them that the Sunwing flight would be taking Canadians back home Sunday, Chan said. The 29-year-old doctor, who now works in Flint, Mich., said once her sister and mother arrived on the tarmac, they were told the flight was full and were turned away. In an email to The Canadian Press, Sunwing said it flew two humanitarian flights from St. Maarten this weekend that carried tourists from Canada, the United States, and Europe. The airline said priority boarding was given to people requiring medical attention and families with children. But, Chan said French, Dutch and American citizens stranded on the island have been getting help from their military to evacuate, but Canadians there are starting to feel abandoned. “I think the people are losing hope. They keep going back to the airport, they keep hearing that they keep getting all these chartered planes,” Chan said. “But knowing that it’s the government coming to help, and not a private company, would at least reassure these people that they are not forgotten. “That’s the sense I am getting from my sister and my mother, and everyone else in our situation, is ‘why is everyone else getting aid and help and we’re not?”‘ she said. Samarappuli said the Canadian government needs to get more involved in the rescue effort, as well as do a better job of keeping family members informed. More than 9,000 Canadians have registered with the Registration of Canadians Abroad Service in the region, Global Affairs said Sunday. Of those, 296 Canadian citizens have requested assistance. Public Safety Minister Ralph Goodale told reporters Sunday it’s exceedingly difficult to deploy the relief and recovery efforts while the problem is still unfolding and in some cases getting worse. DUTCH SHOULD TAKE CONTROL OF SXM WHERE ALL GOVT FAILED IN THE CRISIS…THE PRESENT GOVT IS A DISGRACE AND COMMON SENSE AS WELL AS PUBLIC SAFETY DEMANDS REMOVAL OF ALL SX, GOVT AND PD REPLACED BY THOSE CAPABLE OF RUNNING THE ISLAND IN CRISIS….INTERNATIONAL DISGRACE…..! !